Over the New Year holiday, I spent two weeks exploring the markets, riads and casbahs of Morocco. This is a massive region steeped in history and unchanged traditions with a deservedly outsized impact on Western imaginations. The sights, smells and constant sales pitches of the Medina easily overwhelms visitors. Seemingly without equal anywhere else in the world - expect, perhaps, in eCommerce. Alan Beychok, former CEO of FootSmart and one of our first clients, often said "eCommerce is death by a thousand entrepreneurs." 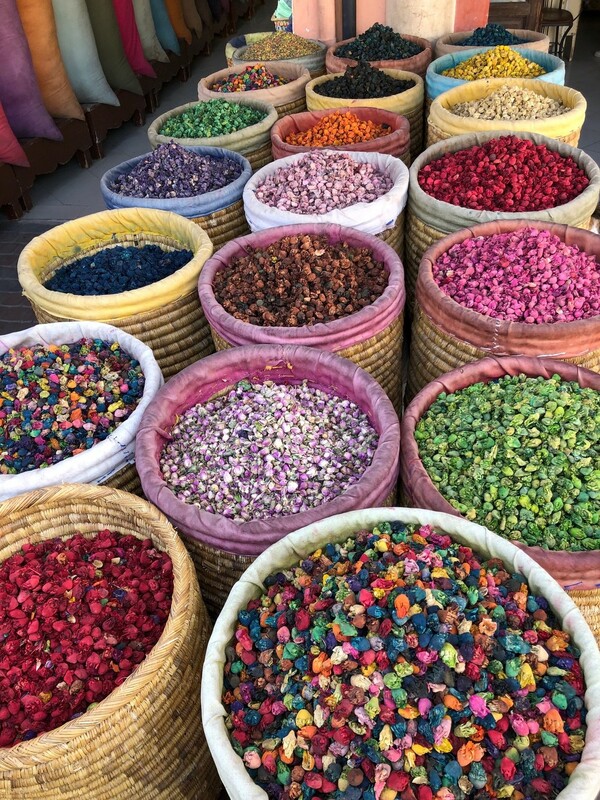 The ancient markets of Morocco are no different, and the parallels are everywhere, especially in light of the "Amazon Virtuous Cycle." For those unfamiliar with this, you can start reading at any point; if you add more products to the retail website, your customers are more likely to find what they are looking for, which drives better customer experience. People who have a good experience tell their friends who come shop there, which attracts more sellers (and brands) to want to be on the platform. This drives growth/scale, lowers prices and cost, and creates growth. Anyone who doubted Amazon could really succeed by adding yet another purveyor of phone charges or granola bars, need only look to the Moroccan Medina, where literally dozens of lamp sellers, copper fabricators, and food providers hawk their wares. Who wins and how can they possibly coexist? The similarities to eCommerce are everywhere. "Build a better mousetrap, and the world will beat a path to your door," Ralph Waldo Emerson. In both eCommerce and in the markets, people know who has the best craft or service and word gets around. 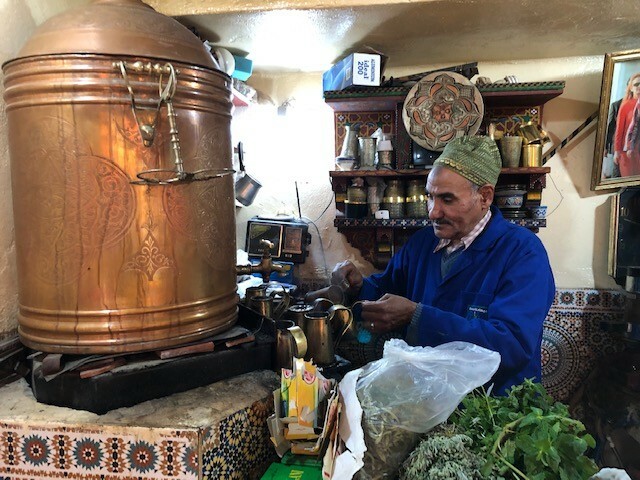 Throughout the Medina, coffee and tea were everywhere, but very few places were as busy as this one artisan. The man had a tiny stall that he's been working since 1973. I watched in wonder, as people came and went. He knew everyone, their orders, and he never stopped. The coffee was just $1, and one of the best I've ever had. One of the core elements of the Amazon Flywheel is the continuous addition of new selection, to the frustration of existing sellers and brands. In traditional retail, we are used to long production cycles where we believe we can tell the customers what flavours, colours, or styles they will buy, and we have scientists or colourists on staff to help us. In truth though, continuously adding selection does drive conversion; people want both different sellers and options. The brand/seller most willing to variate their product and continuously innovate has the best chance of coming out on top. I once heard Sebastian Gunningham, a senior Amazon marketplace leader, present his view on showrooming: "If the market for your product relies on people not knowing the true price of that product, you aren't fighting Amazon (read: technology) you are fighting the future." While walking through the market, I saw wildly different prices, varying by as much as 100% for commonplace items such as high-end Medjool dates. And, there were copycat Nike and adidas shoes everywhere. Amazon doesn't create fake Coach bags or Nike shoes any more than the Medina of Morocco does. The platform simply makes them visible. Brands that consistently police their channels at the lowest level ensure customers see the value of the authorised channel purchase. We live in a world where people are obsessed with four-hour work weeks and virtual assistants. All of this is laid bare in the Medina, which is both factory and store. While there are efficiencies and experience, in the end hard work and persistence usually win over copycats and shortcuts. A leather drying and production area, shared by stores in the Medina, has been in constant use for hundreds of years. It's back-breaking work but the output is world-class leather - and a completely verticalised manufacturing to retail facility attuned to customer needs. Anything tried on in-store can be customised, tailored, and delivered same day to your hotel anywhere in the Medina. Dare I say, Medina Prime delivery? Mining ancient traditions for new business models is hardly new. In his book Pour Your Heart Into It, Howard Schultz famously detailed how he built the Starbucks we know and love around the "third place" concept he saw around him in cafes on a trip to Milan. And, it remains an exciting delight to see the new in the old, and the old in the new. While I don't predict donkey-share package delivery coming to a NYC block near you anytime soon, I do think we're all the wiser for understanding the common fundamentals, whether those are the Four-Ps (Product, Placement, Price, and Promotion) or even AID (Attention, Interest, Decision, Action). The better we see the commonalities, the better we'll be at anticipating the next big thing.